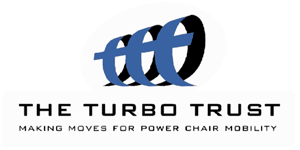 At Turbo Trust is to provide hi-tech powered mobility equipment for severely disabled people so that whatever their dream is – not their parent’s dream necessarily! – they can achieve it more easily. 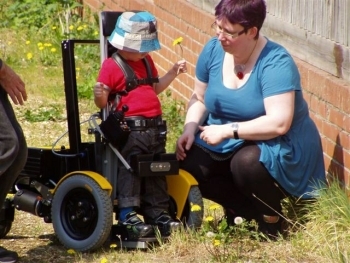 In our experience, powerchairs need to be designed around the needs of the disabled individual to simulate as far as possible the quality of movement they lack. We aim to empower individuals and their families to make their own lifestyle choices, not be restricted by the limitations society imposes on them. All the people shown here have received grants from us either to purchase the powerchair that best meets their needs, or to pay for its upkeep and service, including seating adaptations. 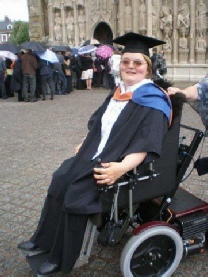 The kind of powerchairs our grants contribute to are not available through government funding, and all our applicants make their own efforts to raise the money they need too. We work in partnership to empower people to do the best they can for themselves, while giving what help they need. Sarah, on the right, set off inter-railing around Europe in her new Dragon and uses it in the work she does with pre-school children. The seat goes right down to the floor, so she can really relate to the children at their level. Louis has had his SnapDragon since he was 3 years old. The stander that interchanges with his seat means he can run around with his friends standing up like them. He can help his mum take out the rubbish, and his whole experience of independence is encouraging him to achieve greater natural mobility and be part of an able-bodied world. If you want to help us support others like Louis and Sarah, go to www.justgiving.com/turbo and make a donation – you can gift aid it to make the most of the government’s tax concessions to charities. 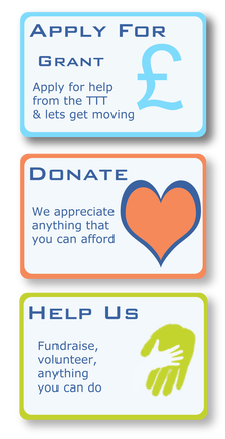 Or contact us if you want to volunteer to run events or help in any way.